Noun. A game played by two teams of 11 players each on a rectangular, 100-yard-long field with goal lines and goal posts at either end, the object being to gain possession of the ball and advance it in running or passing plays across the opponent’s goal line or kick it through the air between the opponent’s goal posts. Followers. 28.7 mil on Twitter. Countless besides. Football has never been just a game; with a larger than life status and many a billion fanatics. FIFA (Fédération Internationale de Football Association) is one of the richest sport bodies of the world. UEFA Champions league, the Euros and The World Cup are the richest sporting events in the world, with the winner of the Champions league winning $77 mil (ICC World Cup offers a prize of $4 mil). The FIFA World Cup in Germany (2006) was viewed in over 214 countries with an unbelievable total of 26.29 billion views. 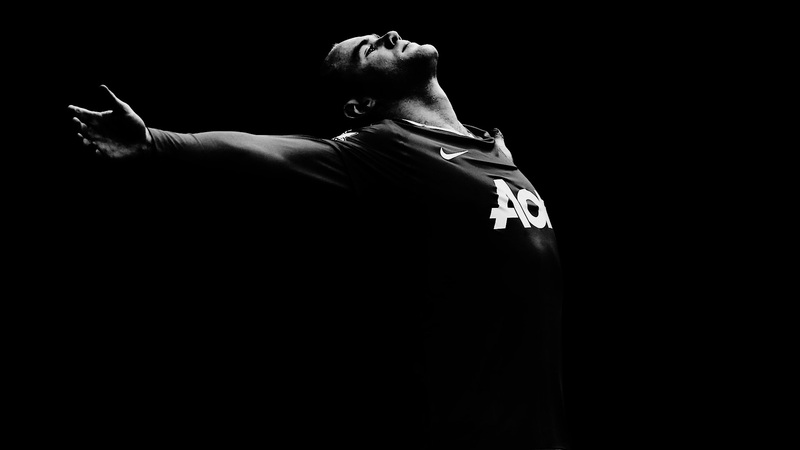 In the corporate scheme of things, the game is sure to be followed by the giants – AON has seen its popularity soar after associating itself with Manchester United, and Nike is the most visible sports brand. But what I want to discuss upon is what the game means to us lesser mortals and how are we enticed by the sheer brilliance of the beautiful game. Like all the other kids of my age, I used to be a cricket buff. And one fine day I saw this absolutely fabulous man who could curl the ball anyway he felt like with his sheer will. That was 2001-02 and he got England through to the World Cup single handedly. That was how I started with Manchester United, and I fell in love. Scholesy, Giggs, Keane, Beckham became my idols and I remember that I cried when Beckham left for Madrid. But it taught me that no man is bigger than the club he plays for, and as I grew up this feeling has stayed, accepting everything good there is with humility. I read about the Munich disaster, the lives of the club legends and somehow I felt connected with the club – they became my identity. I wanted to follow them, emulate them; I learnt never to give up even when defeat was staring right at my face, I learnt to fight even in the most adverse of times. The era of Ronaldo started with the 2003-04 season and he achieved what the Old Trafford faithful had deemed impossible – he made us forget the hurt of losing Beckham. Rooney burst to the scene and the Theatre of Dreams looked the most exciting place to be in. People often ask me if I follow Manchester United for their trophies or because of their popularity, among others. As one of my friends had put it, and it fits in so perfectly – Manchester United is a way of letting myself free, letting my passion for football grow as well as helping me grow as a person. I am not saying that people who support other clubs are on the losing side. That is the most important lesson football has taught me – respect. I do not like Chelsea, but I respect them. I like the brash nature of Madrid football club over the tiki-taka of Barcelona football, but never will I not agree that they are a great footballing club and the world would be so much worse without them. I love the beautiful game for all these reasons and countless more, and how the sight of a football makes my eyes glitter like that of a child’s who has a chocolate bar in front of him. At that point of time, nothing else matters. There are two posts, and a man guarding it. At the time, the only thing that’s there in the world is getting the ball past him. This is what there is, this is what matters. This is you, this is the game, this is your life.